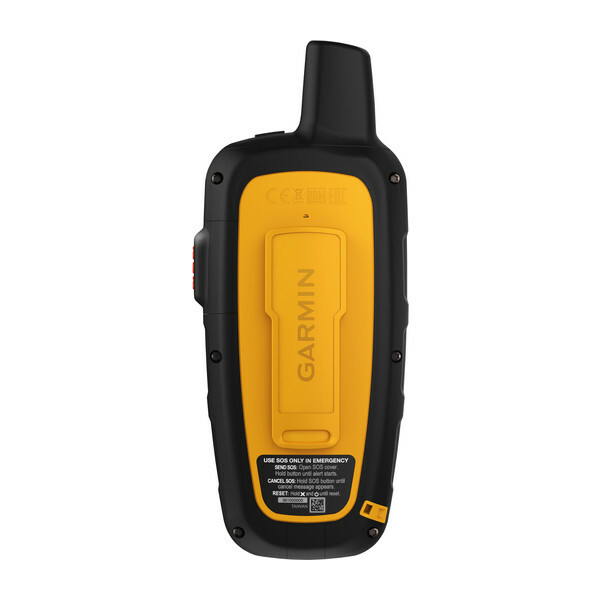 Garmin inReach SE+ is a handheld GPS satellite communicator device that uses 100% global iridium satellite network is used to enable you to send and receive text messages even when out of range of the mobile phone network using the GPS signal (subscription required). You can also view and share your GPS location with friends and family. GEOS SOS messaging is also provided to help you if you encounter an emergency on your adventure(s). Optional weather forecast service is available by connecting your smartphone or tablet to the Garmin inReach SE Plus using the Earthmate app. The Garmin inReach SE+ has an impressive 120 hour battery life. 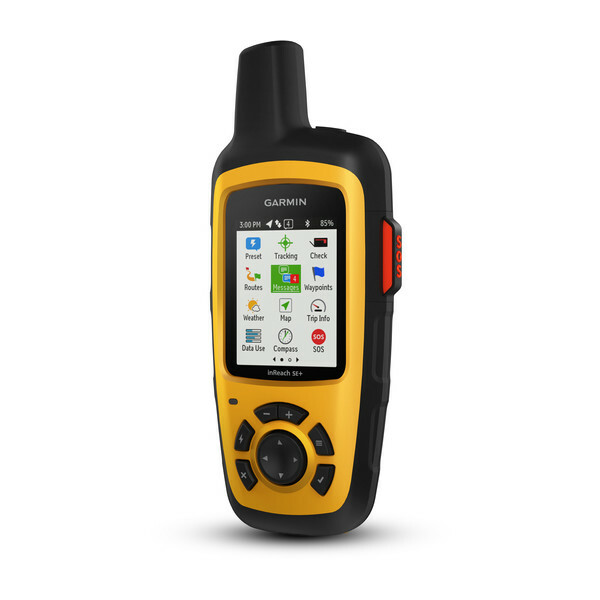 Please note: a satellite subscription is required to enable the features of the inReach SE+. 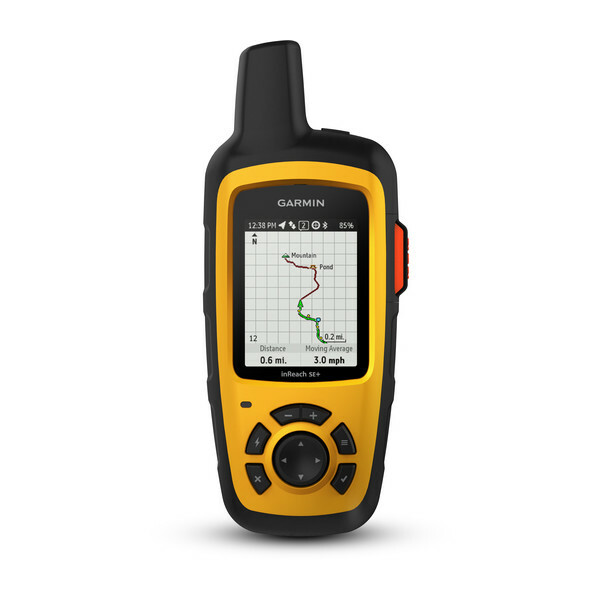 The Garmin inReach SE+ is a handheld GPS navigation device that is tough, durable, impact resistant and water resistant IPX7. Not only is it GPS it also uses 100% global iridium satellite network (satellite subscription required) to enable text messaging to mobile phones without the need for mobile network coverage using GPS connection. Using GPS technology you can track and shard GPS location with friends and family (on their computer or mobile device) using MapShare portal. You can send waypoints at preselected time intervals to be tracked. You can also embed MapShare page on a blog website or social media platform. Plan your trips with routes and waypoints, create preset message and quick texts, sync and manage your device settings, update firmware, link your social media accounts, store all location tracking data and more - using Garmin explore website. 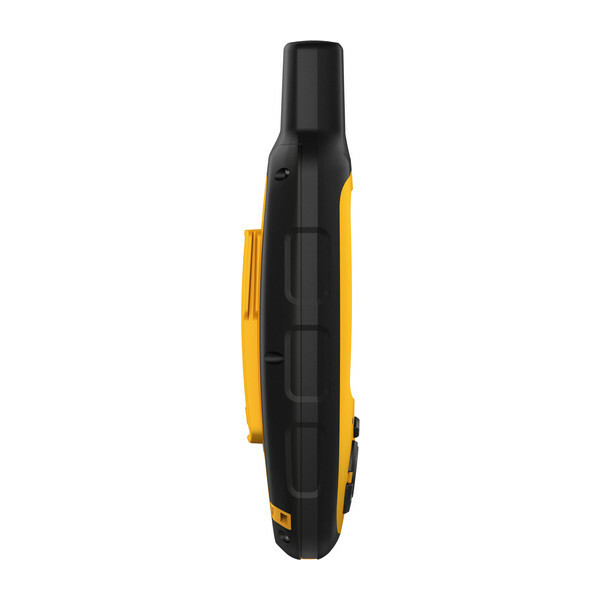 The Garmin inReach SE+ is ideal for use on land and water. Two-way messaging via the global iridium satellite network allows you to exchange text messages with any mobile phone number or email address anywhere, post to social media or communicate inReach to inReach. Furthermore, Earthmate app syncs your inReach handheld via Bluetooth with your compatible Apple or Android to access unlimited maps and aerial imagery. You will also be able to access your phone's contact list from the Earthmate app to connect with fewer keystrokes. SOS messaging to the 24/7 search and rescue monitoring center. The company GEOS is the world leader in emergency response with coverage for 140 countries 24 hours, 7 days, 365 days. They will also text back and forth with you until your problem is resolved. Optional weather forecast service is available with compatible smartphone or tablet paired with the Earthmate app. You will then know what conditions to expect en route. There are Basic and Premium weather packages offered and you can request weather forecasts for your current location or destination on your itinerary. 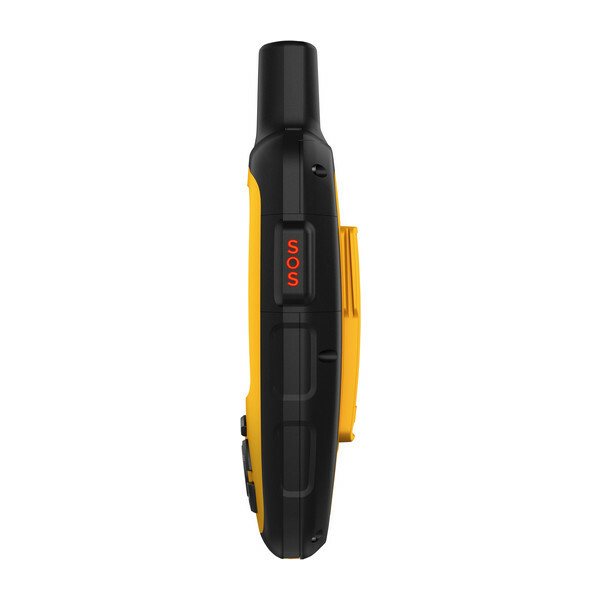 Internal, rechargeable lithium battery (upto 120 hours at default 10-minute tracking mode, 30 days at 30-minute internal power save mode and up to 30 days in standby mode) Recharge via the standard microUSB power cable or optional in-vehicle 12 V charger. Do you have a question about the Garmin inReach SE+ or other handheld GPS related question that's not been answered on this webpage? Please see our handheld and Outdoor GPS FAQs page for questions from other customers.Plus if the answer to your question isn't featured, use the online form to ask us for the answer. Alternatively please telephone 01733 777623 Monday to Friday (9:30am-5:00pm) to speak to one of our sales team. For further information online please see the Garmin inReach comparison table. 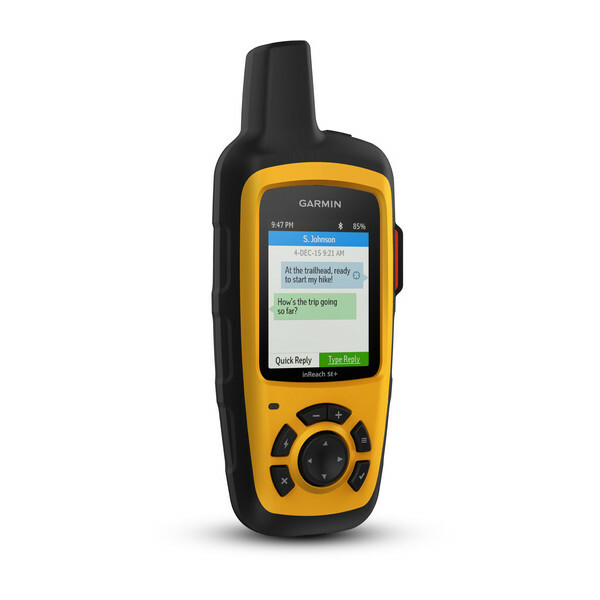 Looking for accessories to use with the Garmin inReach SE+ satellite communicator? We sell a vast selection of genuine parts and spares including eTrex Touch 35 retractable lanyard, carabiner clip, bike mount, adjustable handheld mount and microUSB cable. Do you have a question about the Garmin inReach SE+? Submit your question via our contact page.